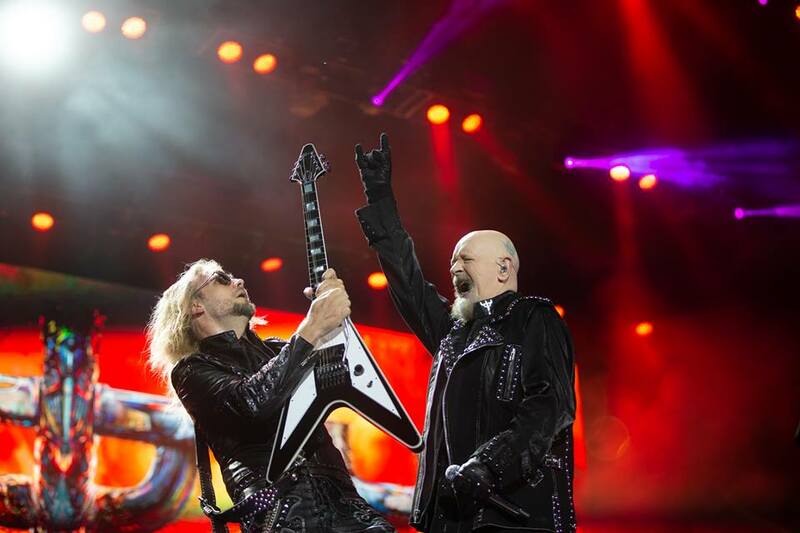 Judas Priest performed their 1978 classic, "Killing Machine", live for the first time in 40 years during a January 27 concert in Paris, France on January 27. The song is the title track of the UK band’s fifth studio album, which was retitled "Hell Bent For Leather" for its US release. “Killing Machine” marked the group's last studio set to feature drummer Les Binks, who had previously appeared on 1978’s “Stained Class” and was in the lineup for Judas Priest’s first live album, 1979’s “Unleashed In The East”, before his exit later that same year. The Paris date took place three days before Judas Priest were to support Ozzy Osbourne on a month-long series of UK/European shows, which were postponed on doctor’s orders after the Black Sabbath legend came down with a flu and a severe upper-respiratory infection which could develop into pneumonia.